I found this great book: 1001 Ways to Empowerment during my last library run. I’m not even halfway through it but I’m so impressed by how many great short, empowering quotes it has. So I thought I’d share them with you. I found the book on Amazon (see it here [affiliate link]) in case you’re interested. And it’s part of a series. There are also books on leadership, patience, and success. I’m looking forward to borrowing them when I’m done with this one. Anyway, here are the quotes I promised. Empowerment is simply finding the most direct path to your true self. Go your own way. 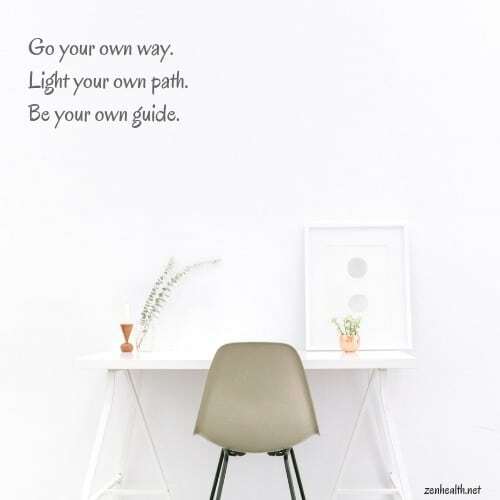 Light your own path. Be your own guide. Empowerment doesn’t require a leap of faith, just a small step of self-belief. Where are you going, if you aren’t prepared to go all the way? Simply copying what others do will never lead to self-empowerment. You learn empowerment by doing things yourself, and seeing what works best for you. Lift yourself up, don’t put yourself down. 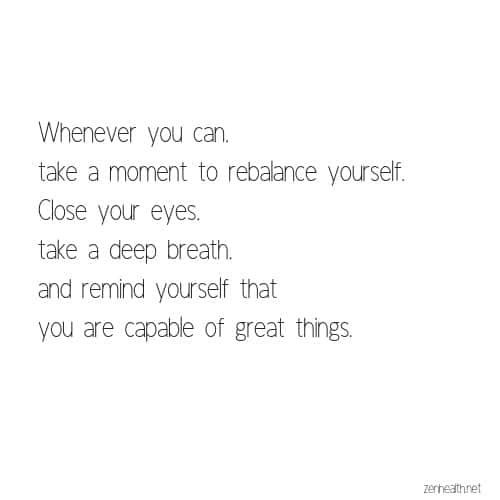 Whenever you can, take a moment to rebalance yourself. Close your eyes, take a deep breath, and remind yourself that you are capable of great things. Eat healthily, even if you are in a rush. A healthy body leads to a healthy mind. The reason distractions are so dangerous is because deep down we love them. Accept this and ensure that you keep your ‘distraction time’ separate from your working time. It is often easier to empower others than it is to empower ourselves, because we find it easier to see clearly what it is that others need. The difficult part of self-empowerment is looking honestly into ourselves. Nothing comes from nothing: empowerment is born from a desire to change. All difficulties are temporary: only quitting last forever. Remember that just because somebody throws you a problem, it doesn’t mean that you have to catch it. Reward yourself; don’t wait for others to praise you – sometimes you need to pat your own back. Forget yesterday and don’t worry about tomorrow, just focus on being happy today. Don’t aim to be perfect, just aim to be authentic. What did you think of these short, empowering quotes? Do you feel inspired? Love all of these! The one about distractions is so interesting. Thanks for sharing! 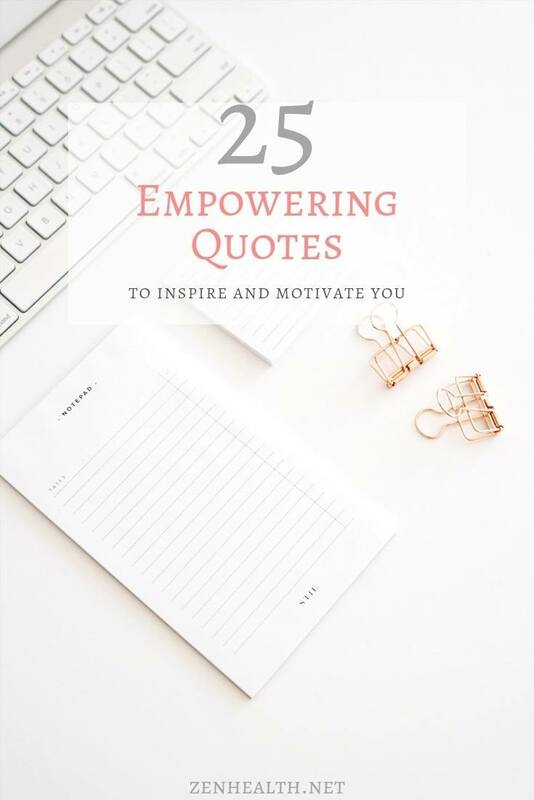 There are some really great quotes in here! A few of then really speak to me! Thabks so much for sharing. That’s great! They speak to me too! Awesome quotes babe, thanks for sharing. 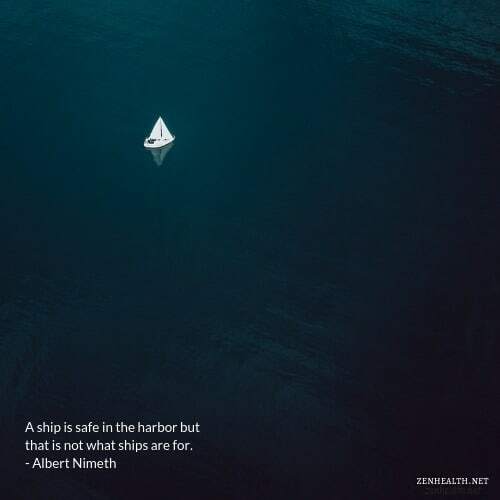 Great quotes, thanks so much for sharing this!